Did you ever play with Sylvanian Families when you were younger? This year they are celebrating their 30th anniversary and I’m excited to be able to re-visit my childhood toys with my daughter. If you follow me on Instagram you might have noticed we’ve picked up some amazing vintage Sylvanian Families toys lately. My favourite have to be the canal boat and bus – perfect for transporting your little Sylvanians on their adventures! Little Sis was the lucky recipient of some new toys from the Sylvanian Families range. I love the fact that new families and accessories are constantly being added to the range which really lets your collection grow. 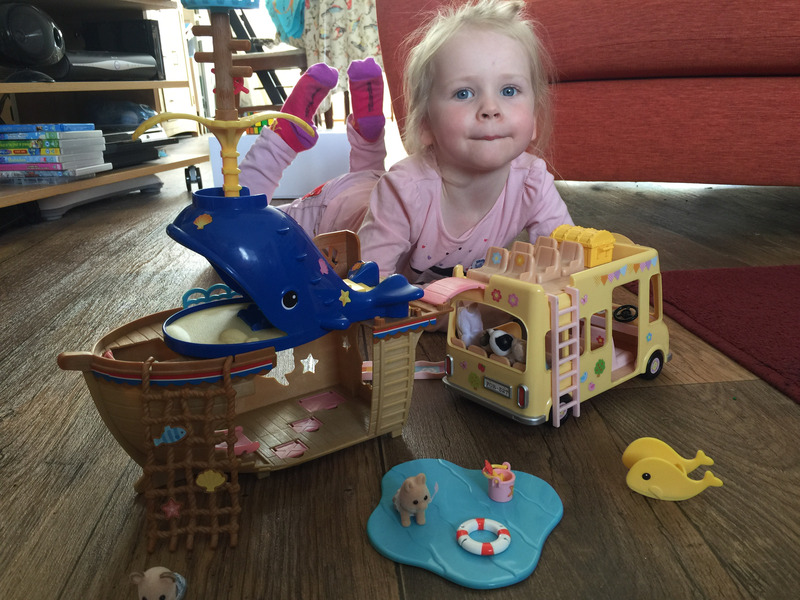 She received the Sylvanian Families Adventure Treasure Ship which is a gorgeous little playground set. This is part of the first ever range of Sylvanian Families enjoying the seaside! You can let your smallest Sylvanians become explorers, climb the viewing deck and hunt for hidden treasure. The set was easy to put together but the stickers get me every time! 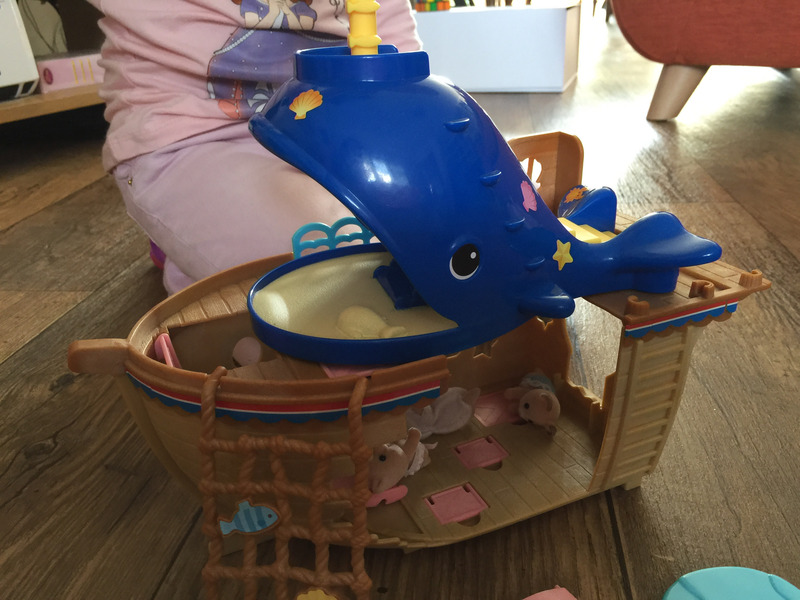 This set is compatible with the Double Decker Nursery Bus and the Splash and Play Whale which we also have so Little Sis has been enjoying playing with her little Sylvanian babies. They fit really well on our tuff spot for outdoor play when it’s sunny and they are a great indoor toy too. We love this new toys, they are bright and colourful and you can move the slides and steps as well as the smaller accessories. I’ve found Sylvanian Families appeal to both my children and they have been designed for more than one child to play with which has saved a few arguments in our house.